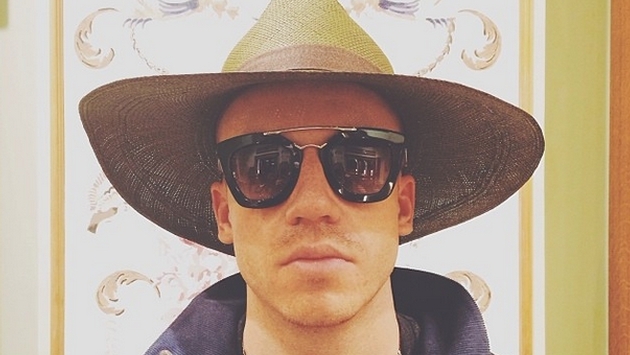 It's been quite the year for Macklemore (pictured above, courtesy Instagram), and it's only February. Not only did the Seattle rapper win a number of Grammys on Jan. 26, but he was also at the Super Bowl, rooting on the Seattle Seahawks -- he even celebrated with the team inside the lockerroom during the NFC championship. Now, he (also known as Ben Haggerty) and his fiancee, Tricia Davis, are embarking on a month-long trip to India! Luckily, the 30-year-old's time wasn't wasted. The Seahawks won the Super Bowl. But not all is sunshine and roses for the rapper and his ladylove. Sadly, they got stuck with a seven-hour layover at Heathrow on Feb. 5. The rapper added, "Halfway through the 24 hour travel time to India.#Heathrow." That's quite a journey, but definitely worth it, we presume. We can't wait to see more photos that Macklemore and Tricia post in the weeks to come.